Proliferation of video wall demand creates an elevated need for integrators and vendors able to consult customers on their actual vs. perceived needs. 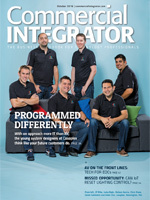 Aaron Kipfer, CTO for video wall maker Neoti, discusses the consultative sales approach. Just the idea of a video wall in your lobby, cafeteria, student center or training room gets the creative juices flowing. It’s no wonder that customers are likely to get ahead of themselves in terms of what they actually need for a video wall solution. That’s why, when it comes to video wall sales, a consultative approach is critical. 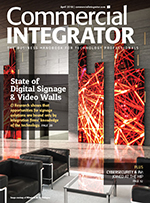 In Commercial Integrator’s “Deep Dive: Inside the Video Wall Opportunity in 2019,” we point out that the opportunity for integration firms to sell video walls is expanding rapidly. We surveyed integrators and consultants and found that 72 percent say the opportunity to sell video walls to corporate customers has increased significantly over the last couple of years. Meanwhile, 41 percent of respondents see growing demand for video walls in the education markets. 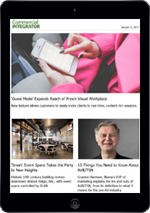 Corporate and education are, by far, reflect the largest customer bases for AV integration firms, meaning candidates to purchase video walls are seemingly ubiquitous. Escalating opportunities are great – obviously. It’s important, however, to recognize how the video walls sales approach should evolve with the market. “Sometimes the end-user doesn’t know exactly what they want they just know the end result they would like,” says Aaron Kipfer, CTO for video wall maker Neoti. “That alone can sometimes make a $20,000 or $50,000 difference for a customer,” says Aaron Kipfer, Neoti, referring to questions about viewing distance. It falls on the integrator, therefore, to ask the right questions in order to understand the customer’s needs and then to run through options. 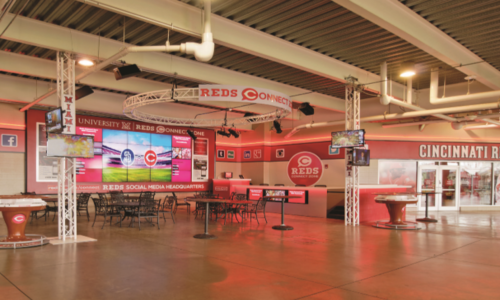 It can be as simple as a customer not understanding the correlation between the LED display solution and how far away viewers will be from the wall, according to Kipfer. “That alone can sometimes make a $20,000 or $50,000 difference for a customer who’s going to be viewing it from 50 feet away versus 5 feet away where you can get away with the more much more cost-effective product,” he says. It’s also important for integrators to work with video wall vendors that are flexible, willing to provide on-site support and that embrace the consultative approach, Kipfer says.